At the extraordinary general meeting of Nuevolution AB (publ) on 11 December 2017, the following resolutions were resolved. It was resolved that the number of board members, as appointed by the general meeting, should be six with no deputies. It was resolved that remuneration to the board of directors on a full year basis shall be paid in a total amount of SEK 1,520,000, which entails an increase on a full year basis of SEK 200,000 for the additional member of the board of directors. It was resolved that the remuneration shall be adjusted in respect of the change of financial year which was resolved by the annual general meeting held on 12 October 2017 and, with regard to the additional member of the board, that was elected by the extraordinary general meeting. 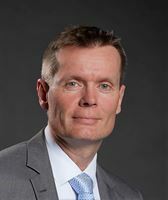 It was resolved, in accordance with the nomination committee’s proposal, to elect Fredrik Arp as new member of the board of directors for the time until the end of the next annual general meeting. It was noted that the board of directors for the time until the end of the next annual general meeting consists of Stig Løkke Pedersen (chairman), Søren Lemonius, Lars Henriksson, Professor Dr. Jutta Monica Heim, Jeanette Wood and Fredrik Arp. This information was released for publication at 16:00 CET on 11 December 2017.